Firstly, I’ll point out that we do have an ad for the Little Gym currently running, but be assured our reviews cannot be purchased. We really do personally experience these places and state the pure truth, good or bad. A little bit of advice to begin with, I have been fishing for some ideas of what to do with my boys when it comes to sport. 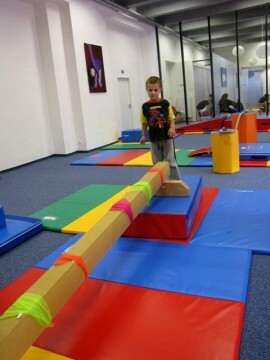 It is a known fact that kids are ready to start sports more seriously when they turn 4-5 years. My Marcus is 4.5 years right now. Out of the blue I met a neighbor of mine who represents CZ in Athletics. With her help I came to the conclusion that Gymnastics is best to start your child on as it will teach your child how to use the body. 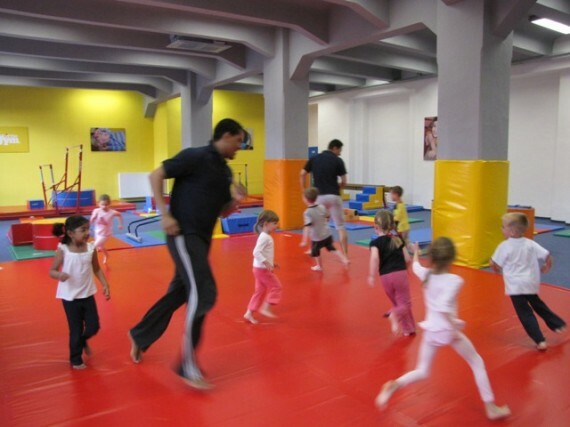 I started looking for some classes for kids and at the same time we were contacted by The Little Gym to come and try them out for the readers. The classes are in English with a Czech instructor who can also translate into Czech for kids that may not fully understand. The music is played in English and some of the songs are repeated so the kids can become familiar with them. The program focuses on every child. It doesn’t matter if your child is a bit bigger or shy or not so physically talented. 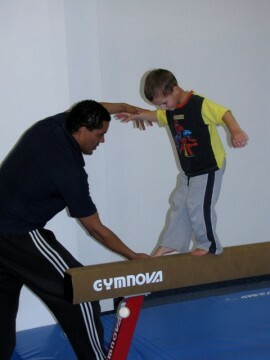 Instructors give extra care to every child providing them with social and physical development. The owner Jana brought the Idea over from Holland where she was a member. 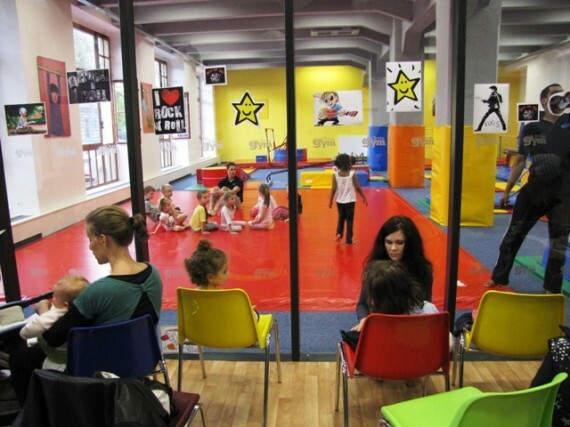 The Little Gym is franchised organisation and they share experience and knowledge within the whole group. The whole place is lit up in natural light and is very colorful and family orientated. 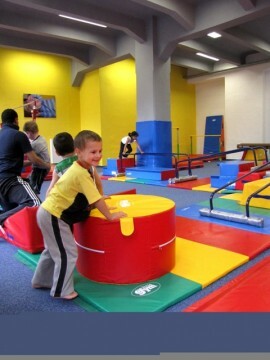 They do care about safety first so all the toys and exercise equipment is covered in soft sponging and the Instructors are always there keeping an eye. The classes are divided into several groups depending on the age. I was a bit surprised how strict they are about not mixing up the group and I was a bit disappointed I could not smuggle young Nicolas (3 years) to Marcus’ class. Yet again I fully respect the whole idea of different skills at different ages. Nikki was fine playing in a play area in the waiting room. It felt so good to observe my child through the glass wall being professionally looked after, having a great time and achieving new successes. I promise we will look into our family budget and see if they can go. The thing is The Little Gym isn’t cheap. At the end of the day it comes to 330CZK per class. Its the most expensive one in Prague. Yet you get great quality, so if you can afford it - go for it. You cannot purchase one single lesson. In order to become a member you have to pay a 600CZK one off fee for Family Membership regardless of how many kids you have. After that you have to pay 330CZK x the number of classes left till the end of the Semester. So if you start at the beginning of the semester you will get 15 classes. 1 FREE + 14 payed. If you start in the middle of semester you will get 7 classes: 1 FREE + 6 payed. The payment are always calculated for the running semesters or if you sign up for the autumn semester in summer you will wait for it to start and then pay the whole thing. Hope this is not too confusing. So in summary a whole semester will cost you 4.620CZK (with the possibility of 3 installment payments of 1.700 CZK) Siblings do get a discount: 2nd kid 10%, 3rd and 4th 20% off. 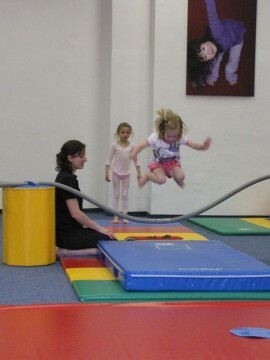 As I mentioned earlier: On Saturday the 15th of May The Little Gym will hold an open day. 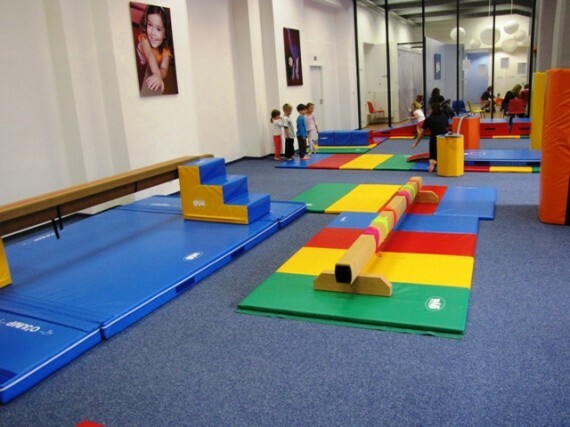 All children between 0 and 12 year old are welcome to experience the bright, colourful and nurturing world of this gymnastics-based motor skill development program. 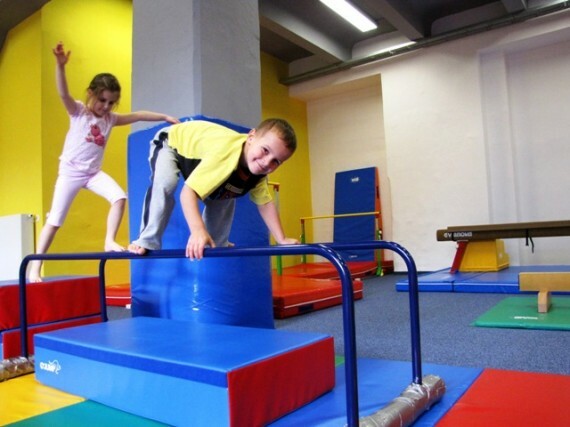 Guests can visit the gym at anytime between 14:00 and 18:00 to join the games, challenges and many more activities provided by the team. 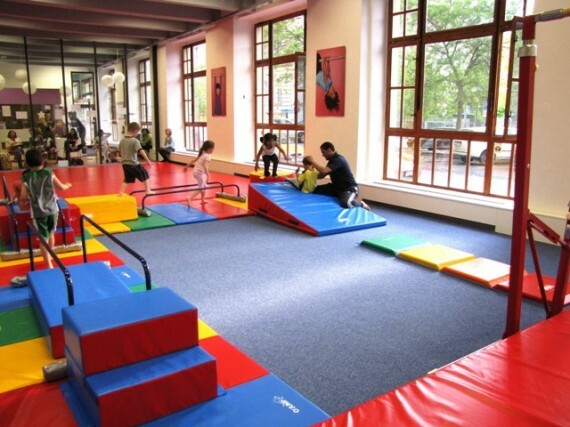 You can also find information on Summer Camps organized by The Little Gym and there is also the possibility of holding Birthday Parties at the venue. DIRECTIONS: Easily reached by car or public transportation. You can park underneath in the huge car park at Novy Smichov Shopping Mall and walk to Drtinova street(approx. 5 min walk). The first 3 hours of parking are free, on weekends the first 5 hours are free. By Metro: Take the yellow B line to station ANDEL. By Tram: Take 4, 5, 6, 7, 9, 10, 12, 14, 20 or 34 to tram stop ANDEL. The Little Gym is right opposite the French Licee.